Large screen laptops are primarily bought for better viewing experiences. And the fact that it can accommodate more hardware without being too massive, makes its apt for gaming and high definition videos or softwares. And though the portability of such machines duly gets compromised with that extra weight and dimension, sometimes it’s completely worth it. 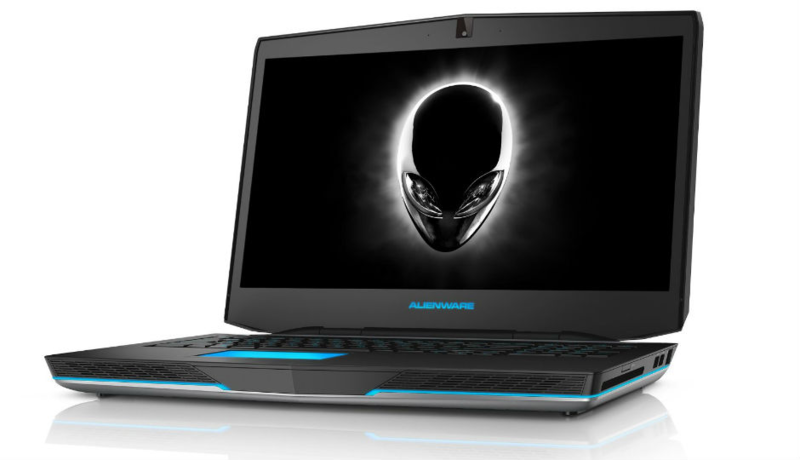 Alienware 17 R4 is one of the top end gaming laptops that delivers fast performance. With a sturdy build of dimension size 16.7 x 13.1 x 1.2 inches and weighing 9.74 pounds – this highly configurable laptop is loaded with incredible features and has well-designed lighting. The specifications include 7th Generation Intel Core i7-7700HQ with 8MB cache at 3.9GHz, 16GB DDR4 RAM, 1TB 7200RPM SATA + 512GB Samsung SSD storage devices, NVIDIA GeForce GTX 1080 graphics card and various ports for USB, HDMI, ethernet etc. 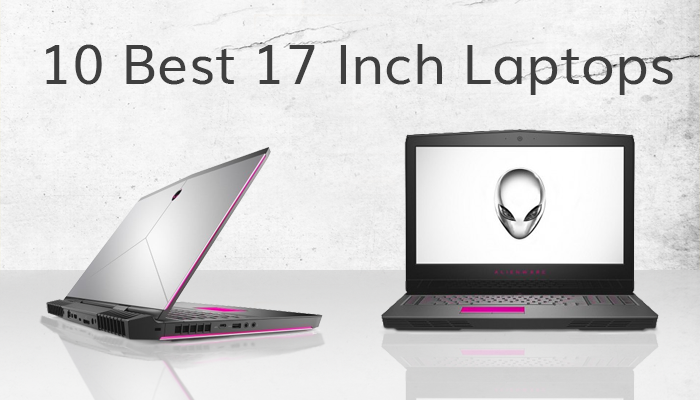 What sets Alienware 17 R4 apart is its Tobii infrared eye recognition technology, that in combination with the anti-glare glass display gives an enhanced gaming and other graphic experience. With the Gaze Trace feature, you can enable the power save mode, auto lock the laptop or wake it up from the sleep mode. The laptop however has a short battery life (upto 2.5 to 3 hours only), heats up quickly while the fans are too noisy for your comfort. 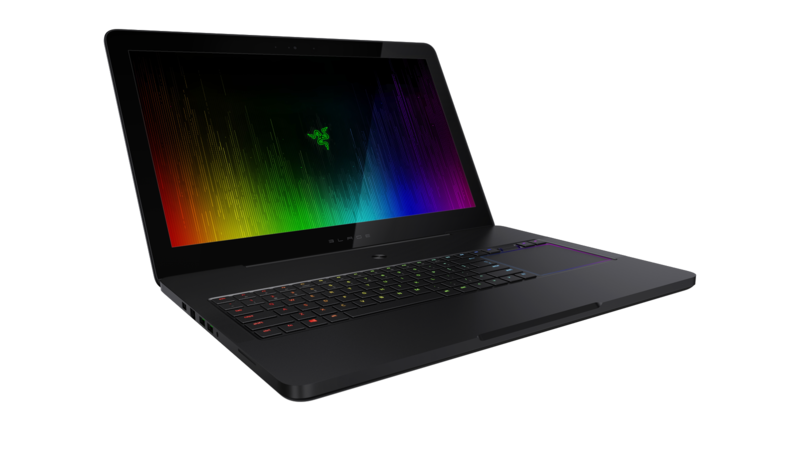 Razer Blade Pro is 0.88” thick and is known as the slimmest premium gaming laptop, with 17.3-inch display size and 3,840 x 2,160 touchscreen resolution – that in conjunction with the video card account for vivid colors, sharper details and optimum performance. The laptop is durable, heavy and weighs around 7.69 pounds. The specs include Intel Core i7-6700HQ @2.6GHz, 32GB DDR4 RAM, 512GB solid state drive and 8GB NVIDIA GeForce GTX 1080 graphics card. Razer Blade Pro has an ultra-low-profile mechanical keyboard that makes a clicky sound as you press the keys – giving you a very satisfying experience as you type. You can even customize the backlight of the keys, touchpad and media controls with approx. 16.8 million possible colors. The touchpad is smooth and responsive but is unusually placed at the right side of the keyboard, making it slightly awkward for users who are accustomed to it being centrally aligned or are left handers. 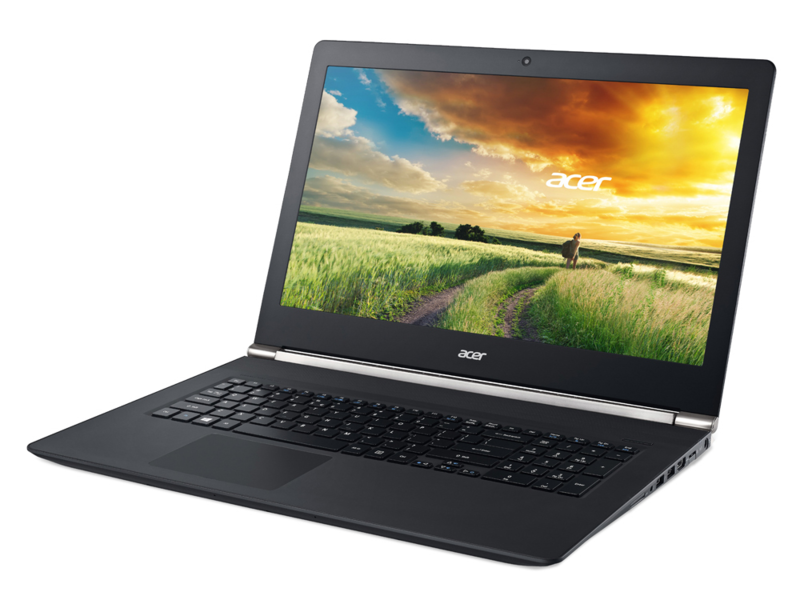 Acer Aspire V 17 Nitro Black Edition proves to be an excellent value for a 17 inch gaming laptop and gives a great display. It carries a sleek professional look with ribbed metal lid, black & silver matte finish and dark plastic underside. It has powerful and up-to-date hardware that is available in different configurations across the world. The specifications may include i7 7700HQ processor running at 2.8 GHz, 8 or 16GB of DDR4 RAM, 256GB M.2 SATA SSD or 1TB SATA HDD, Intel HD Graphics 630 chip plus NVIDIA GeForce GTX 1060 graphic card (with 6GB of GDDR5 memory), as well as ports for HDMI, ethernet, USB 3.0 Type A, USB 3.1 Type C etc. Acer Aspire V 17 Nitro Black Edition has a decent file transfer rate (~ 231.3 MBps), and offers great performance even under heavy load, without much heating. It too incorporates the Tobii eye tracking technology for various controls through your eye. 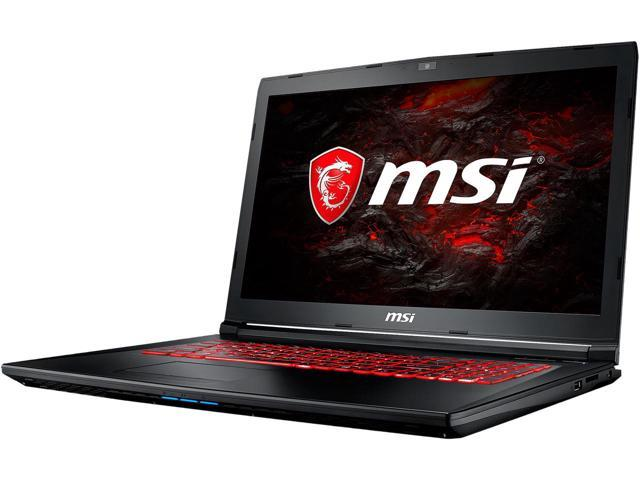 MSI GT72VR Dominator Pro-448 excels in design and performance. The black brushed metal lid has a reddish touch across the edges as well as the joints, while the keyboard comes with RGB lighting. Though the size of the laptop is a bit bulky with 9 pounds in weight and 17 x 11.5 x 2.3 inches in dimension, the powerful hardware is capable of handling complex games even in full HD resolution. The DynAudio and Nahimic audio enhancer software can boost up the sound quality, making it loud and clear with absolutely no breaking. The specifications include Intel Core i7-7700HQ processor, 16GB DDR4 RAM, 256GB SSD + 1TB HDD, NVIDIA GeForce GTX 1070 graphics card. It also comes with the Cooler Boost 4 technology that lowers the temperature for both, the GPU and CPU. MSI GT72VR Dominator acts a perfect replacement for your desktop and is ideal for intense work, but not meant to be carried around. Dell Inspiron 17 7000 is a convertible, which means it can be used both as a laptop and a tablet. You can completely rotate the display up to 360 degrees to give it a tent or a tablet appearance. It has a massive size of 16.2 x 10.9 x 0.9 inches and weighs around 6.4 pounds. It includes the 7th Generation Intel Core i5 dual core processor @2.50GHz, 12GB DDR4 RAM, 1TB of hard disk drive and NVidia GeForce 940MX 2GB DDR5 graphics. The specs can easily be customized or upgraded as per your requirement. 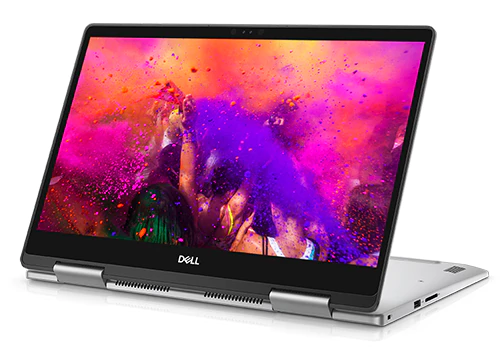 Dell Inspiron 17 7000 has a better battery life than most other laptops of the same size, and also remains cooler during extensive usage. Even though the speed of the hard drive is comparatively on the lower end, it still makes up for a modest game playing station with its good and performing hardware. 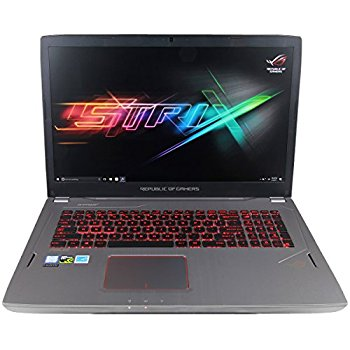 ASUS ROG Strix GL702VS is most suitable for multitaskings and running heavyweight software, games etc, without any performance lags. The specs include Intel Core i7-7700HQ processor, 16GB DDR RAM, 1TB 7200 RPM Hard Disk Drive and 128GB SATA3 SSD, NVIDIA GeForce GTX 1070 8GB graphics card and has a display resolution of 1920×1080. The Dual-Band 8260 wireless card ensures a reliable connection and the speed is perfect for gaming, streaming and file transfers. It also has a good mix of input output ports with the inclusion of Thunderbolt 3, USB 3.0 Type-A, Mini DisplayPort, HDMI port, Gigabit Ethernet RJ-45 port, SD card slot, Kensington lock etc. The laptop is advertised as light and thin but weighs around 6.39 pounds, which is still less than its competitors. ASUS ROG Strix GL702VS has a built-in battery that gives a power backup for upto 3-3.5 hours for lighter tasks like browsing, and 1-2 hours if you are playing games. Nevertheless, it provides a great visual experience for gamers. MSI GL72M 7RDX-800 is a powerful machine equipped with the right graphical hardware, that is needed for playing high definition games. It has a sleek and slender appearance with a black body embedded with the MSI logo. The keyboard however adds more to the color scheme with its soft red LED backlighting, that makes its easier to use the keys even under dim lights. The specs include Intel Core i7 processor @3.8GHz, 8GB of RAM, 128GB SSD + 1TB HDD, 1920 x 1080 display resolution, and the GeForce GTX 10 series (with 2GB GDDR5) graphics card – that can increase the performance rate by almost 40% when compared to its previous versions. MSI GL72M 7RDX-800 also uses the MSI Shift technology along with Cooler Boost 4 tech for controlling the power consumption and the heat output, especially during extended gaming sessions. Gigabyte P57Wv7 is an efficient machine that is high on performance and provides an immersive Virtual Reality (VR) experience. It carries a modest look with matte finished metallic body, neon orange highlights on the edges and white lighting. It has a dimension size of 16.57 x 11.46 x 1.13 inches and weighs approximately 6.61 pounds. The specification includes ‘Kaby Lake’ Core i7 7th Gen 7700HQ @2.80 GHz, 16 or 32GB RAM, 1TB HDD + 256GB SSD,1920×1080 display resolution and GeForce GTX 1070 8GB GDDR5 graphics card. It also comes with a swappable ODD/HDD slot that can be used for additional disk drives (such as DVD drive, Blu ray drive or Hard disk drive), paving way for more gaming opportunities. 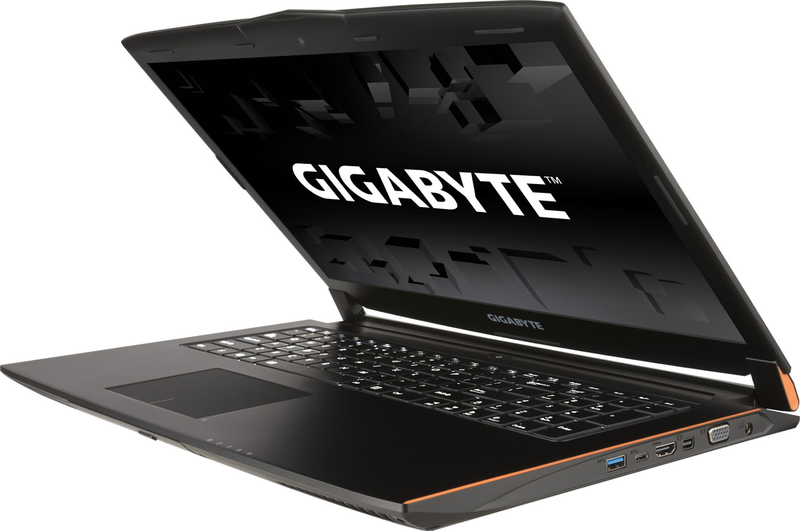 Gigabyte P57Wv7 has its shortcomings with a small battery life and low response time for the display, but it can still handle heavy loads and provides room for customizations. Acer Predator 17 G9-791-73ZW is a sturdy machine with a big and heavy chassis and an aggressive design, and that performs incredibly well in all areas. The specifications include Intel Core i7-6700HQ @2.6GHz processor, 32GB DDR4 RAM, 1TB HDD plus 512GB SSD, Nvidia GeForce GTX 980M graphics card. The 3840 x 2160 display uses Ultra HD IPS panel that makes for excellent viewing angles and maximum brightness. Acer Predator 17 G9-791-73ZW offers a decent battery life upto 5.5 hours and the cooling system is flawless. All-in-all, the machine features a brilliant UHD display, modern port equipments and can run on high and ultra settings with ease. 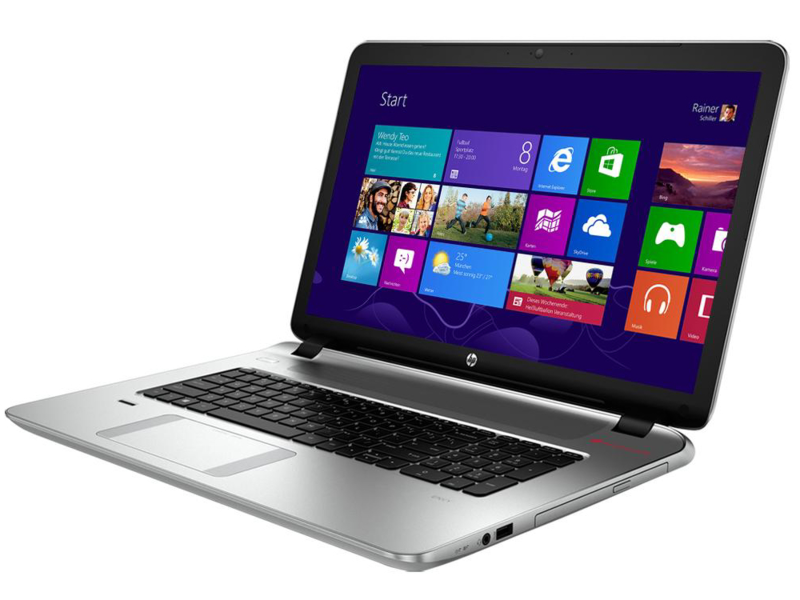 HP Envy 17 17T is a slim, well-built laptop with a sleek chassis, backlit keyboard and a large touchpad. The specifications include Intel Core i7-7500U @2.7 GHz processor, 16GB DDR3 RAM, 1TB hard drive 7200 RPM, NVIDIA GeForce 940MX and a display resolution of 1920×1080. It weighs around 6.75 pounds and has a dimension size of 11.6×16.4×1 inches. One of the distinguishing features of HP Envy 17 17T would be the massive speaker bar that provides crisp and clear audio for both music and voice. The laptop performs seamlessly even while multitasking and doesn’t heat up easily. On the downside, it has an awkward grid pattern on the screen, dim display and the battery life isn’t that great.